Stuck with clay soil? You have options when it comes to amending the soil and making it more suitable for the things you want to plant. The way you work the soil, what you grow and what you add can make a big difference in the soil quality and the growing conditions in your garden areas and planting beds. By nature, clay dirt is heavy, which makes it tough to dig and cultivate. It holds water well, which can be a plus, but it also drains slowly, which can cause your plants to get too much water. 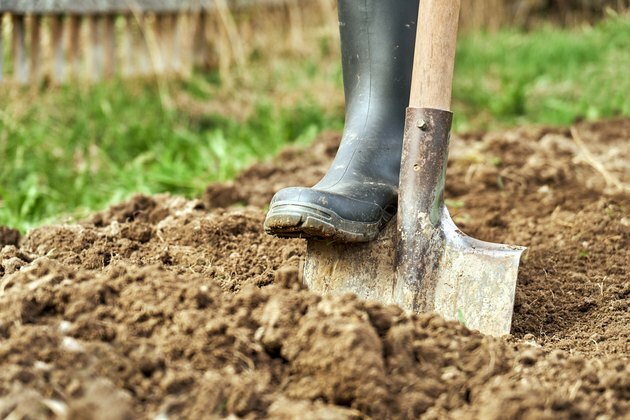 You may notice that your clay soil also takes longer to warm up in the spring, and that can force you to wait before you can work the soil and plant in it. Despite the challenges of this soil type, clay soil is still good for growing different types of plants. When looking at clay properties and uses, consider the type of things you plant. Trees and shrubs tend to perform well in clay soil. When you amend your clay soil with organic matter, you give it a lighter texture that can make it easier to work with less compaction. Organic material also adds nutrients to the soil and allows it to drain better, which provides better growing conditions for plants. Some options include well-rotted manure and compost. Avoid adding sand to the soil to make it lighter. This amendment can turn the soil very hard and difficult to work. To add the organic material, you want to loosen the soil in the area so it's easier to mix. 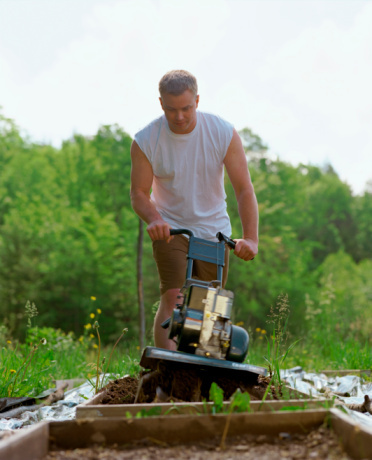 It's best to do this when the soil is dry, as working with wet clay soil can damage the structure, increase compaction and create clumps of hard soil. Spread the chosen organic material on top of the clay dirt. Two to three inches of the material is a good start. Work it in as deeply as possible with a tiller or a shovel. It's also a good idea to continue adding organic material over time. You can add organic material even when you have plants growing in the area by adding compost around the plants or using grass clippings, leaves and other organic materials as mulch for your plantings. When you don't have something growing in an area of clay soil, planting cover crops can help. Those cover crops can help add needed nutrients to the soil. When you're ready to plant, you can till the cover crops into the soil to take advantage of those nutrients. The cover crops can also help minimize compaction and reduce erosion by slowing down water. If you don't want to plant a cover crop, consider covering the area with mulch for the winter. The mulch can minimize compaction of the soil and serve a similar purpose as cover crops to prevent erosion. Disturbing soil that's heavy with clay too much can make the situation worse. Compaction is an issue the more you walk on the area. Tilling the ground too much can also make clods or cause compaction. To avoid damage to the soil's structure, minimize how much you work or walk on the soil. Raised beds let you add better soil to the area and encourage better drainage. You can use quality soil in the planting beds to make them easier to manage. Raised beds can be as simple as mounds of dirt, or you can construct a more permanent bed with landscaping bricks or wood. Improving your clay soil can improve the quality of your garden. From the way you work the soil to the amendments you make, you can create a more hospitable environment for your favorite plants.